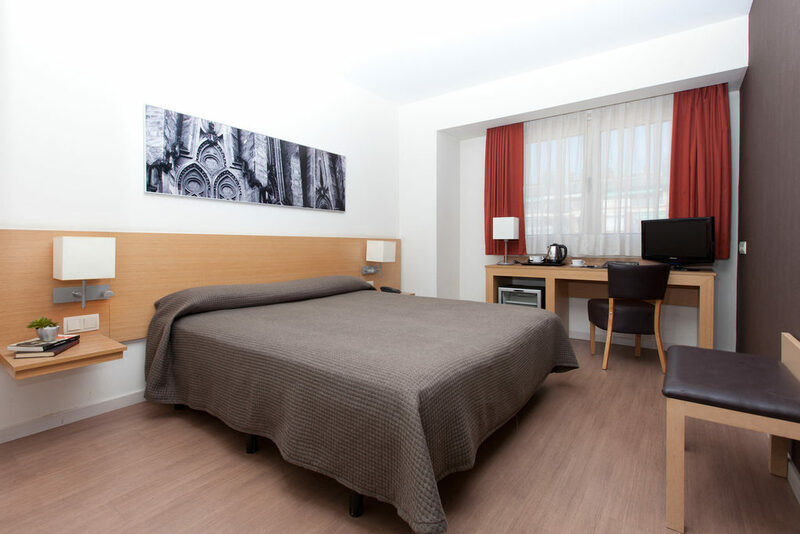 From 57€ per night - 84 rooms of 5 types. 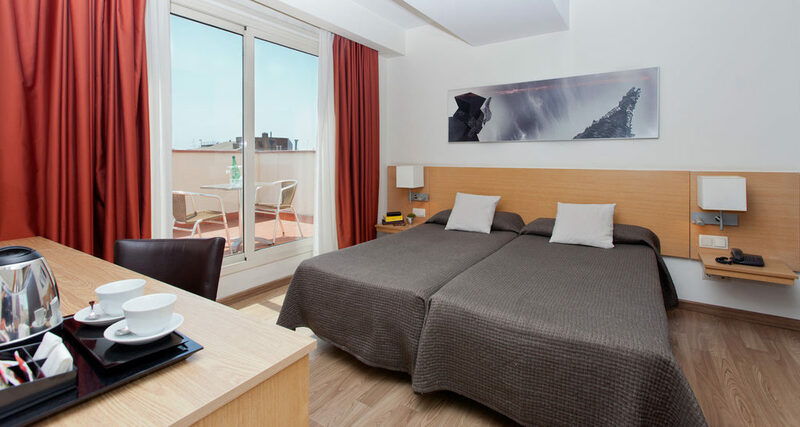 Double room for single use, with one single bed, furnished with a desk, satellite TV, free wifi connection, telephone, safe, air condition or heating (depending on the season), free coffee and tea set, and a mini-bar. The bathroom is equipped with a shower or a bathtub, and a hair-dryer. Double room for 1 or 2 people occupancy, with one double bed or two separte beds, furnished with a desk, satellite TV, free wifi connection, telephone, safe, air condition or heating (depending on the season), free coffee and tea set, and a mini-bar. The bathroom is equipped with a shower or a bathtub, and a hair-dryer. 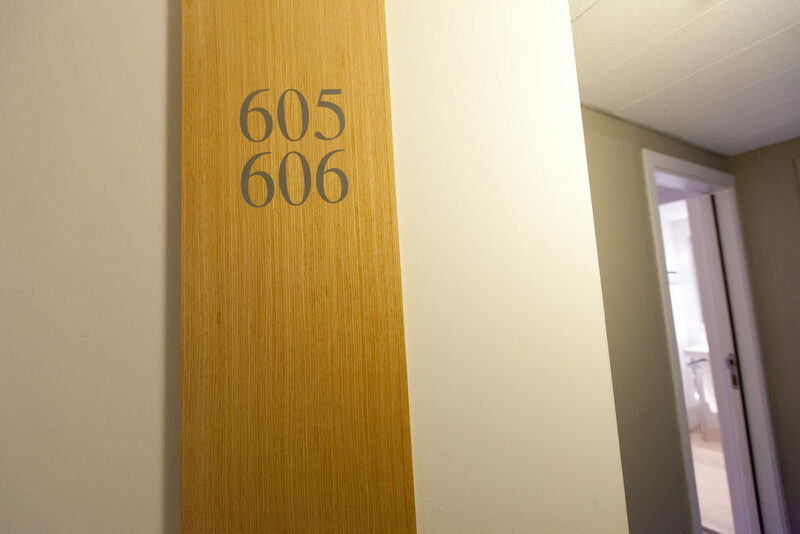 Superior rooms are larger than our standard rooms. They have a double or twin beds and offer a sense of comfort. It is equipped with a desk, satellite TV, Wi-Fi, telephone, safe, more spacious wardrobe, air conditioning or heating (depending on season) and mini-bar. The bathroom has a shower or bath and a hair dryer. Triple room for 3 adults or 2 adults and a child, with two single beds and a sofa-bed, furnished with a desk, satellite TV, free wifi connection, telephone, safe, air condition or heating (depending on the season), free coffee and tea set, and a mini-bar. The bathroom is equipped with a shower or a bathtub, and a hair-dryer. Family room, consist of two communicating rooms, with private bathrooms. Both rooms furnished with a desk, satellite TV, free wifi connection, telephone, safe, air condition or heating (depending on the season), free coffee and tea set, and a mini-bar. The bathrooms are equipped with a shower or a bathtub, and a hair-dryer.t.